I had an alternate beginning to my shop class this year. I thought I would start out showing the students where to get wood in the woodshed and organize a few pieces of lumber while we were in there. 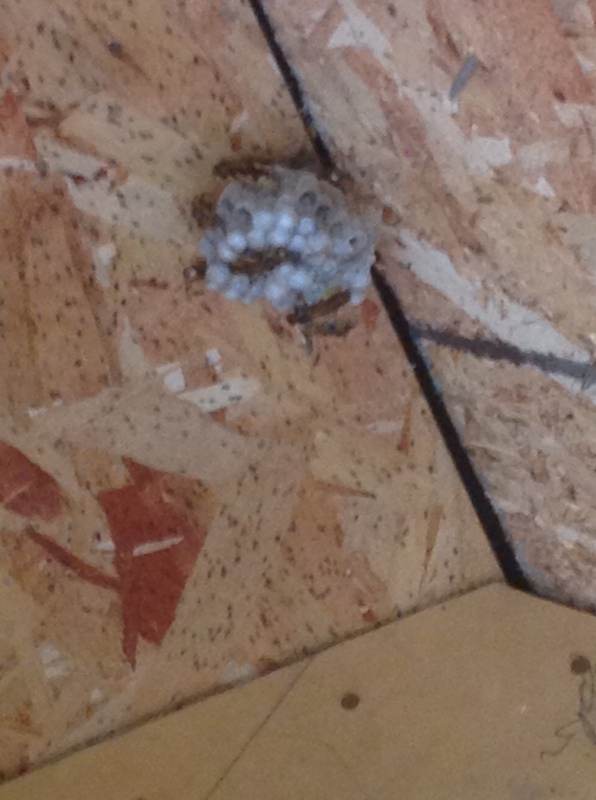 After about five minutes of rattling around in the shed one of the students happened to notice a fairly small Yellow Jacket nest right above us. There was only about 15 wasps but they were most certainly annoyed with our presence and were moments from kicking us out of “their” shed. A quick trip to the Co-op and a can of Raid later, and we reclaimed our woodshed. No one (except the wasps) was hurt. Just another start to a rural school principal’s year. Posted on September 2, 2015 by gshwaga	• This entry was posted in Education, School and tagged education, principal, school, VCS, wasps. Bookmark the permalink.